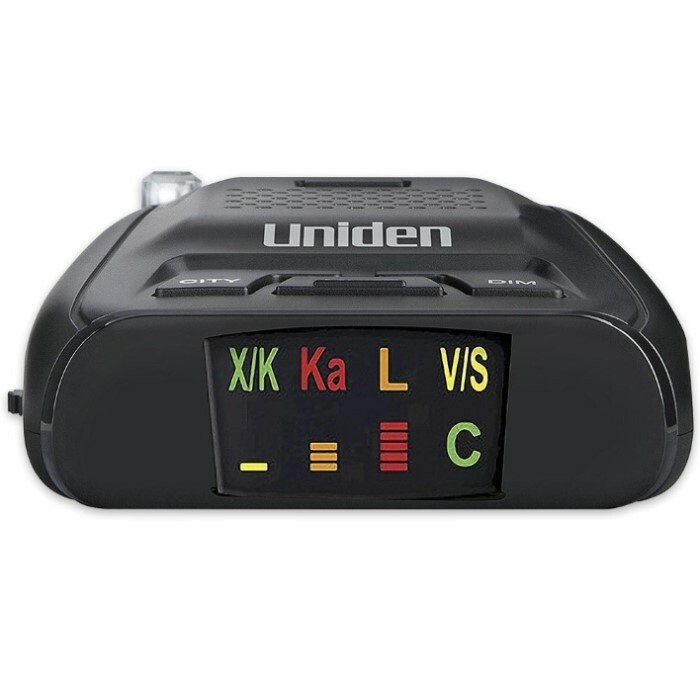 Uniden DFR1 Radar Detector | BUDK.com - Knives & Swords At The Lowest Prices! 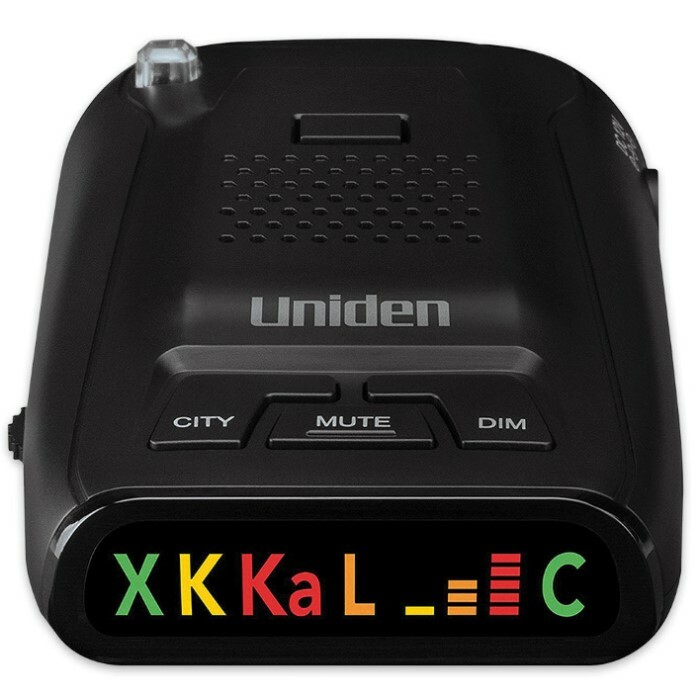 Uniden's incredibly affordable DFR1 Radar Detector saves you money threefold - at checkout, on speeding tickets and on hiked insurance rates! No matter where the fuzz lurks - ahead of you, behind you or even miles away - the DFR1 Detector warns you clearly, accurately and well before his radar can get a fix on you. You can almost feel the cash staying in your pocket every time the DFR1 thwarts detection! An entry level-priced but nonetheless effective radar detector for the budget conscious driver, the no-frills DFR1 may lack fancy bells and whistles, but you can count on it to do exactly what it's supposed to do upon every speedclock encounter - detect radar gun emissions and sound an audio alert. 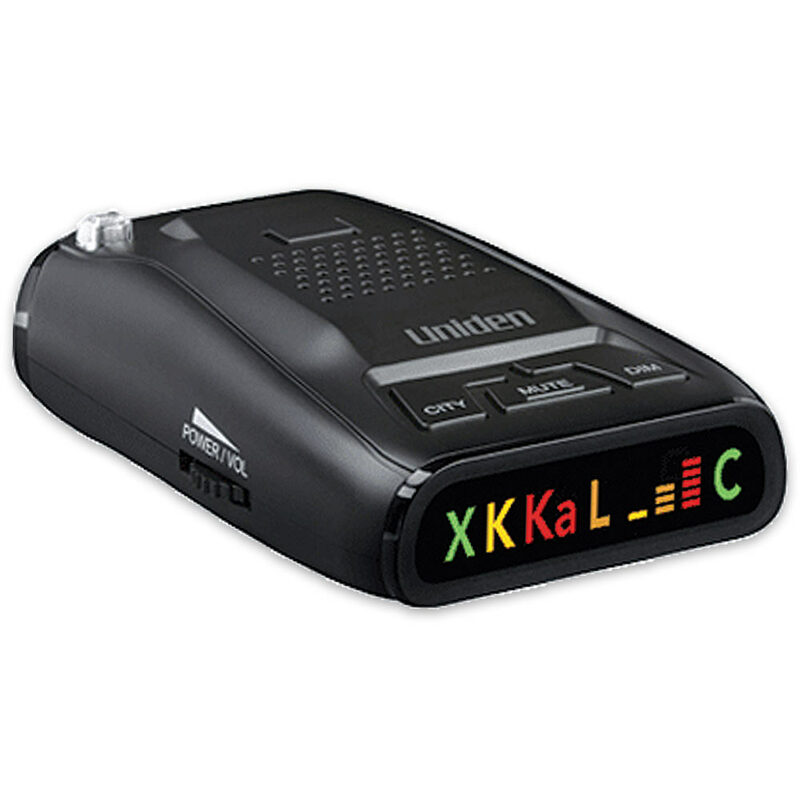 After sensing trouble, the DFR1 determines from which band range the signal originates and displays that frequency type on the easy-to-read icon display (X, K or Ka, or L), along with signal strength bars. Tired of hearing alert sounds? Just press "mute," and problem solved. Utilizing two different modes - city and highway - the DFR1 adapts to "background" radar transmissions (signals from radar devices other than speed clocking devices) and other conditions unique to either city or highway driving. Includes DC charging cable and convenient suction cup mount. No one likes paying the price for being caught off guard, and with Uniden's DFR1 Long Range Radar Detector in your car, truck or SUV, you'll always be one step ahead of you-know-who.